Penguins from The Maryland Zoo in Baltimore joined Patrick and Adam as they exchanged vows, surrounded by an intimate gathering of family and friends. As the saying goes, "penguins mate for life." It's a romantic notion and sweet theme for a wedding. 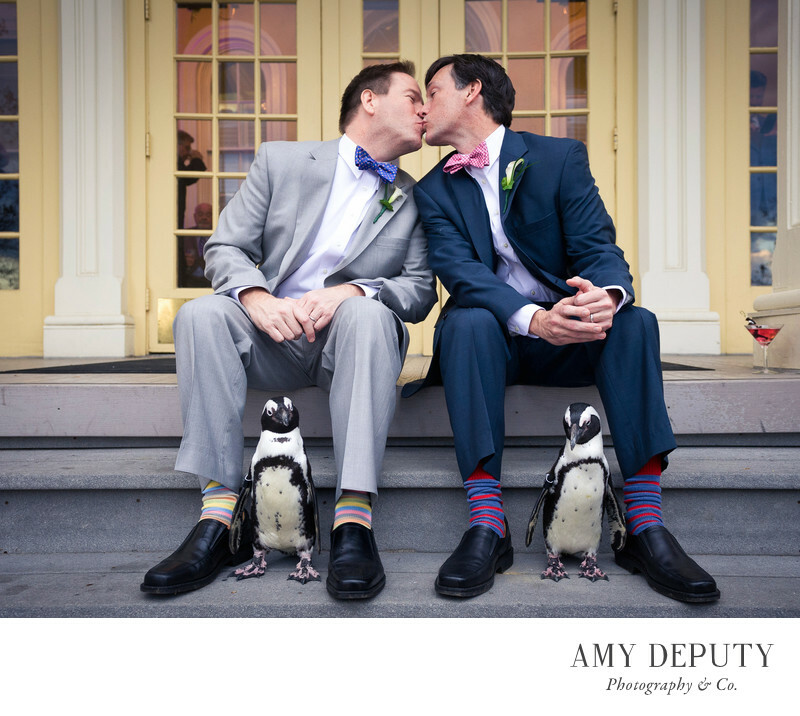 I had so much fun photographing these two sitting with their winged and tuxedo-wearing friends! Patrick and Adam's wedding ceremony was held at the Zoo's Lakeside Pavilion and afterward, the couple and their guests went on to celebrate at the Mansion House. The Baltimore Zoo's grounds, with old growth trees and water views, provided a wonderful backdrop for wedding portraits. This was a truly fun, memorable, and one-of-a-kind occasion. Location: The Maryland Zoo in Baltimore: 1876 Mansion House Dr., Baltimore, MD 21217.